=> 56th, 57th, 58th & 59th Common Combined (Preliminary) Competitive Examination and Main Examination. => Rs.400/- for General and OBC Category and Rs.175/- for Reserved Category Candidates. 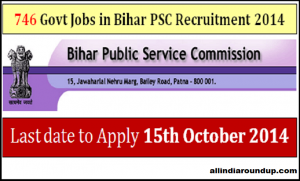 => Eligible Persons are required to Apply on the prescribed format (OMR) available at various Posts Offices in the districts of Bihar. 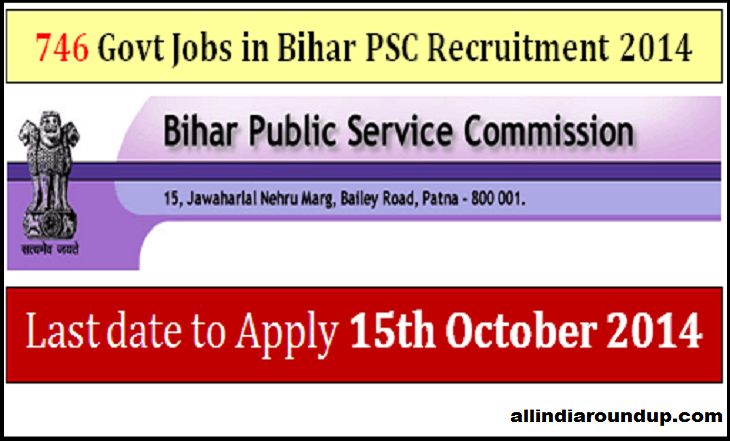 The last date for submission of application is 15/10/2014.